A ten-month trial on the island of Yassiada had ended just the previous day, condemning 15 to death; 12 sentences were commuted, leaving only the biggest fish to fry. Zorlu, the former Foreign Minister, and Polatkan, late the Finance Minister, were both implicated in the financial crimes often characteristic of high office. 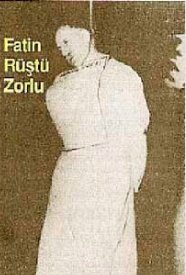 Zorlu was also condemned for helping instigate a notorious 1955 anti-Greek riot. The two were helicoptered to Imrali for a pre-dawn hanging. * Tangentially, the prison on Imrali is the one American drug-smuggler Billy Hayes subsequently escaped from. Hayes went on to write Midnight Express, later adapted for the silver screen by Oliver Stone. The Turkish Republic, so violently born, has endured a tumultuous past half-century or so. In keeping with the Cold War Zeitgeist, it also enjoyed its share of coups. 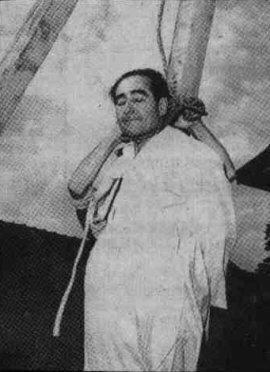 The first such struck in May of 1960, toppling the elected (but by then deeply unpopular with young military officers) government of Adnan Menderes. Menderes had been Prime Minister for a decade, but he and two of his ministers would check out with the distinction of being the last politicians executed in Turkey. No brutality, no torture has ever made me plead for mercy, because I prefer to die with my head up, with unshakable faith and deep confidence in the destiny of my country, rather than live in submission and spurning of scared principles. One person’s “murdered under controversial circumstances” is another person’s “executed.” By most unbiased accounts, Patrice Lumumba was both. A strident anti-colonialist caught in the most inflammatory of Cold War power struggles, Lumumba remains a controversial figure. In 1956, Patrice Lumumba was a mail clerk in Belgian Congo recently out of prison for embezzlement of post office funds. Though previously involved with the Liberal Party of Belgium, a colonialist political party, after prison, he helped found the Mouvement National Congolais, a pro-independence national party (an important distinction at the time, as most pro-independence parties were at least partially tribal in nature). Convicted in 1959 of inciting an anti-colonial riot and sentenced to 6 months in prison, Lumumba was released early as Congo won its independence and the MNC became an important political force. Just how important became apparent the following June, when the 35-year-old Lumumba was ratified as the newly independent Congo’s first prime minister. From criminal to high statesman in just over a year, Lumumba took his new power in stride, and watched in disgust as the deposed King Baudouin of Belgium attended the new nation’s first Independence Day celebration, and before a fawning international media condescendingly congratulated Belgium’s colonial beneficence to its former slave plantation. Struck from the day’s official celebrations in favor of the the lukewarm exhortations of the new President Kasa-Vubu, Lumumba found time on the day’s unofficial program. Strident, emotional, and unabashed in its anticolonialist, nationalist, and pan-Africanist bent, Lumumba’s famous speech was roundly criticized by the domestic and foreign press, but well-received by the crowd and ultimately delivered directly to history. Lumumba’s tenure as prime minister was short-lived, however. Mere weeks after independence, a mutiny on army bases broke out in reaction to Lumumba’s ill-fated decision to leave the military out of a government pay raise. The resulting anarchy quickly spread throughout the country, and the province of Katanga, with the support of King Baudouin and powerful mining companies, declared independence. As United Nations troops failed to quell the situation, Lumumba appealed to the Soviets, whose intervention succeeded only in causing Lumumba’s political support to crumble. Kasa-Vuba dismissed Lumumba in September; in response, Lumumba declared Kasa-Vuba deposed — quite illegally, as it happens — and appealed to the Senate, from whom he managed to win a vote of confidence. At this point, in the heat of the Cold War, things got interesting. Deposed again, this time in a CIA-endorsed coup, Lumumba found himself under house arrest and under the protection of UN troops. Not certain whether to trust the rule of the various laws surrounding him, Lumumba slipped out under the cover of night and escaped to nearby Stanleyville (now Kisangani), where he believed he had enough supporters to set up his own government — and army, whom one supposes he had by then resolved to pay rather better. 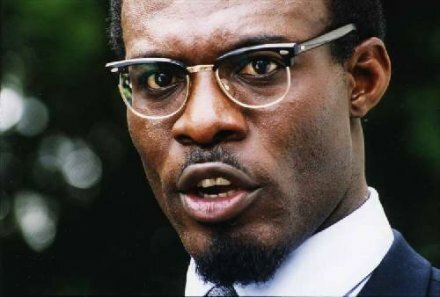 Pursued by forces loyal to the new government, Lumumba was captured and arrested in early December 1960 and charged with “inciting the army to rebellion.” Devoid of his former UN protection, the man who would be the leader of a newly free nation watched as he became a pawn in a much larger struggle. UN Secretary General Dag Hammarskjöld appealed to the process of law –- whatever that was –- while the USSR jumped a step ahead, demanding that Lumumba be immediately released and reinstated as prime minister and all UN forces withdrawn. So much for that. The UN Security Council convened, and, a week later, the USSR’s resolution was defeated. Another, Western-backed resolution that would have given the UN power to act as impartial arbitrator was vetoed by the USSR. At this point, caught between hostility of Cold War politics and the ever-hazy idea of “international law,” Lumumba languished in the military barracks of an even more hostile government. Hearing of plans for his transfer to barracks at the now-subdued Katanga province, Lumumba was wild on the plane trip and was forcibly restrained after appealing to other passengers to intervene on his behalf. 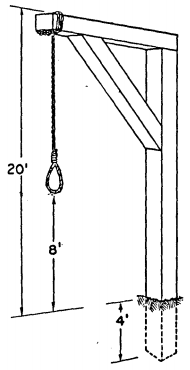 Late at night after his arrival at his new prison, Lumumba was driven to an isolated spot and executed by firing squad. News of his death was not released until three weeks later, when it sparked protests in several European cities over the role of the Belgian government, which denied any involvement. The extent of US and Belgian involvement in Lumumba’s death remains the subject of ongoing speculation. So does the question of what might have been.